I agree! Milwaukee has so many incredibly talented thinkers and designers–another design should be considered. I wonder why none of the previously submitted designs were chosen in the last competition? Better Watch out Mesa, AZ – we are gunning for you! I feel so much better now… Take that, Pocatello! 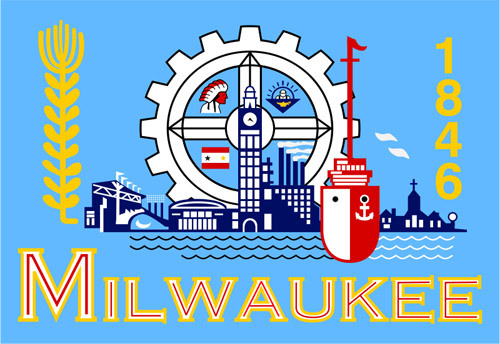 Now I know why I’ve never seen the Milwaukee flag before!